I have listed, my favorite, the top 10 retrofits to amp up your fashion game. A simple piece of fabric and many usages. You can wear it around your neck or wrap it around your shoulders. It aces all kind of clothing, be it ethnic wear or western wear. it comes handy for all the seasons. 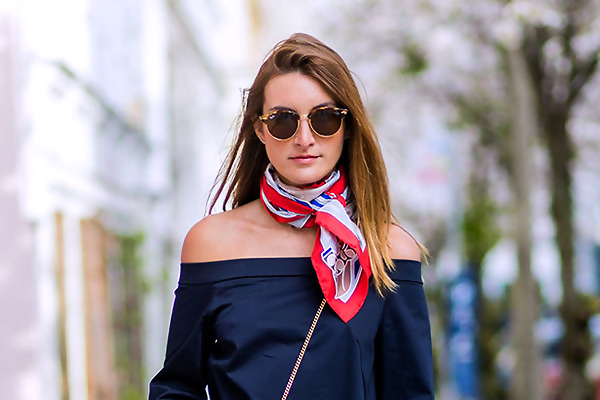 you can use cotton scarves for sun protection during summers. Woolen scarves during winters for the warmth. you can also use scarves as a hair accessory, you can wear it as a headband or adorn your ponytail with it. Sunglasses are my personal favorite accessory. They can add a touch of style in any outfit. You can choose the shades according to your shape and size for the best result. The market has a Huge collection of Sunglasses such as Aviator, Oversized, Cat eye etc. Keep one cute little handbag that goes with all kind outfits to carry all your essentials. It can be a sling bag, a handbag or a bag-pack. you can choose anything which suits your personality and comfort. When it comes to cool and comfy footwear, nothing can beat sneaker. you can flaunt it with jeans, dress and even with ethnic wear. Recently, Deepika Padukone’s heels to sneakers transformation stunned everyone. Look at the pictures shown below to get the idea. Those days are gone far back when belts were only meant for pants. nowadays, you can pair a belt with skirts, dresses, ethnic wear and ever sari. yes, you heard it right. You can replace your waist chain with a belt for exceptional sari look. Scarves, belts, shoes, handbags, and sunglasses are my top 5 essentials. They are adorable and adaptable at the same time. You can pair them with any kind of look and they will never disappoint you. What are you top 5 fashion accessories? do let me know in the comment section. Oh! Flowers are no more! But once it was number one! Time flies! It’s a great complement for me. Thanks and welcome.